There are shows that just pull you in from the start and somehow still manage to keep getting better as they go along. Kaguya-sama is one of those shows. It started off strong and yet still managed to remain great throughout the entirety of its 12 episode run. This show had me with the comedy and kept me enjoying it thanks to the character development/examination. The comedy never failed to be fun for me and the show didn’t have a complete genre change part way through. It simply added to what was already great. A romantic comedy still needs to care about the characters. If you can’t get invested in who these people are then you are going to struggle to keep following. The comedy works because you understand where the characters are coming from and are still rooting for them. This may honestly be one of the most respectful and dedicated adaptations I’ve seen in a long time. You can tell that the staff at A-1 Pictures cared about the source material and doing it justice. This show had no shortage of creative direction, visual styles, and clever ways to keep what was often a mental battle between characters exhilarating to watch. And like I said above the show did a great job easing the viewers into the show. You start off with just a few characters and mostly just focusing on the comedy and ‘war of the minds’ angle the show has going for it. And then as time goes on we get a much more expanded supporting cast and a more serious examination of character motivations. All of that culminating in honestly a fantastic last episode that is worth following the show in order to appreciate. The setting is one you would expect for this sort of show. A fair amount of the show does take place within the Student Council room of Shuchiin Academy. The main cast are all students so the majority of the show does take place on school grounds. That isn’t an absolute though as the show is willing to take the story into the city or into the homes of specific characters. This is a school for the elite so most of the characters are coming from pretty rich backgrounds. While that doesn’t apply to every character, it does influence the kind of setting we are getting with this show. The imaginations of the characters also allow the fun to jump into different locations for a few seconds even the plot continues to unfold in the same place. 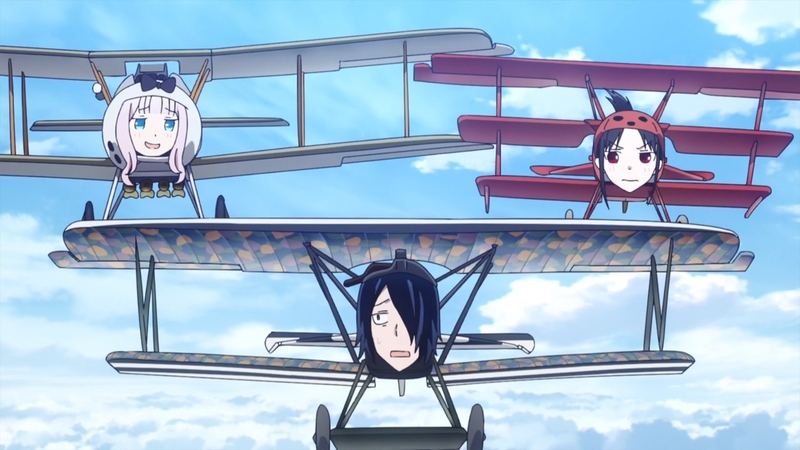 The core of the story is a romantic comedy between Miyuki Shirogane and Kaguya Shinomiya. This is a case where both characters are clearly interested in each other from Day 1. But due to pride and specific character motivations neither one of them wants to be the one to confess to the other. Thus a large part of the show does turn into a battle of sorts between the main characters to try and get the other person to confess or show in undeniable ways that they are in love with the other person. The early portion of the show focuses heavily on these mental battles. And the episodes themselves are often broken up into 2-4 segments. As the show goes along these skits are more directly tied into each other, but early on they can be pretty self-contained. While the show starts out mostly focusing on the comedy first and foremost, it doesn’t stay like that. As the show goes along more drama and character exploration is added to the mix. They make sure to avoid what could be a devastating flaw in getting repetitive. If the show was simply about two people refusing to confess then a viewer could easily get tired of it and start disliking one or both. But the show makes sure to develop the cast, add in strong supporting characters, and change things up. With the focus changing as the show goes along you can appreciate the qualities of the characters and not just focus on the “when will someone confess” question. While comedy is subjective I thought the show was hilarious. The comedy throughout just had me smiling much of the time if not straight up laughing. Each character brings their own different quality both to the comedy and the character dynamics. And there is truly something fun about watching characters who are supposed to be rather smart people, acting like total fools because of their feelings. The show does a great job of making the scenes within the episode feel dynamic even if it only involves characters talking in a room. And it increasingly gets better with time at finding the right points for some rather serious and emotional scenes. It isn’t the most complex show. But it has some great comedy, good drama at points, and characters you want to see get together. It only seems proper to start with the title character in Kaguya Shinomiya. She easily gets some of the most dramatic moments in the show and brings her own type of comedy. This girl really is the elite of the elite in many ways. She comes from an incredibly rich family, honors her word, she’s talented in numerous fields, and is the vice president of the student council. Of course beyond that she’s also bad with technology, extremely sheltered which leaves her lacking in some common knowledge, and has some family issues. She also has an incredible sense of pride which does get in the way of her admitting her own feelings openly. 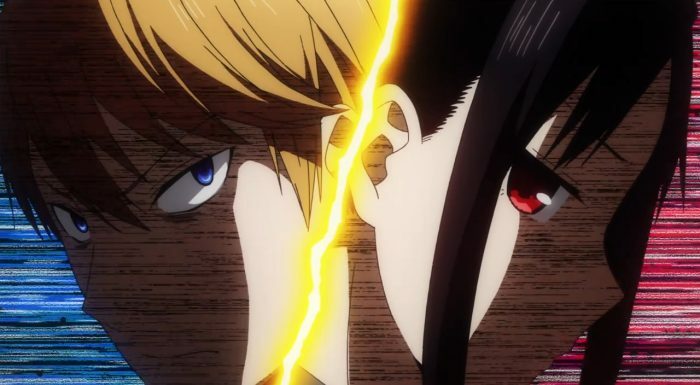 Kaguya can be absolutely brilliant and is the schemer of the main pair. She will put insane efforts into her plans to get Miyuki to confess to her. And she is absolutely adorable, with many cute moments. Kaguya’s counterpart and love interest is of course Miyuki Shirogane. The student council president is a very solid contrast with Kaguya in some ways and yet shares a sense of pride that won’t allow him to confess first. Unlike Kaguya he is coming from a very poor family. 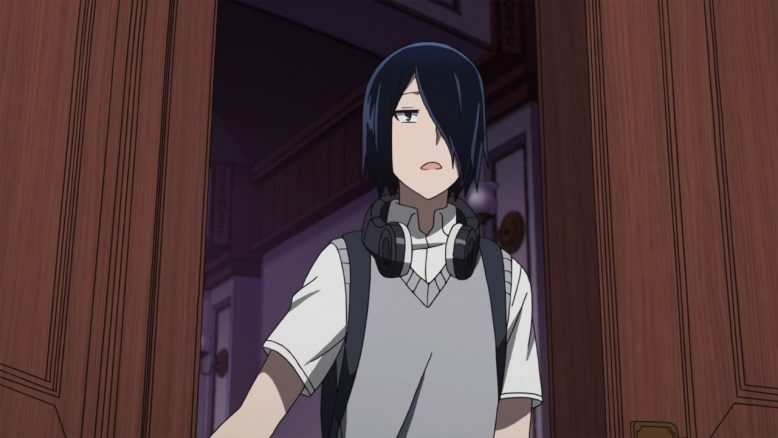 His strength is in the efforts he puts forward academically to rise above even a genius like Kaguya to the top in the school. He has a stern look which some find intimidating (Kaguya finds adorable) and he is self-conscious in a lot of ways. A lot of his actions come from the fear that Kaguya would be disappointed in him, call him cute, or that he’d lose any standing to belong beside her. Miyuki does appreciate Kaguya’s immense strengths. The pride Miyuki has comes from somewhere else than where Kaguya’s pride does. He is the student council president of a prestigious school despite coming from much more humble origins than the rest of the student population. Miyuki is gifted at thinking on his feet and is far more reactive to circumstances. He’s not planning out his moves days/months in advance like Kaguya. 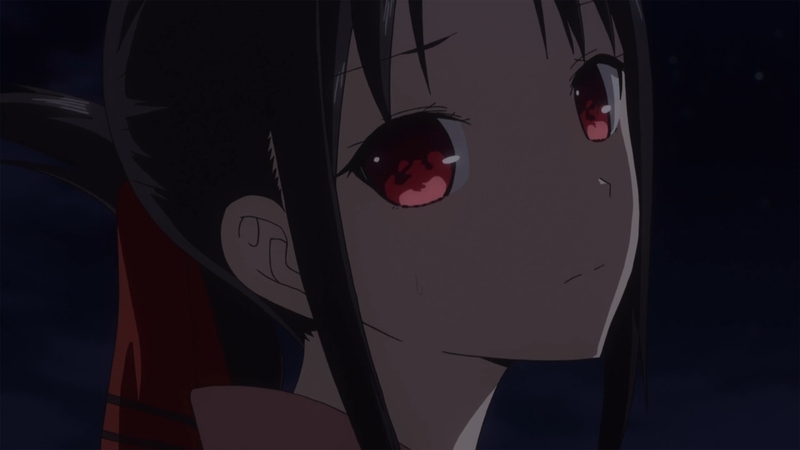 And while Kaguya is the title character the show does let us get into Miyuki’s mind almost as much. They are very much the dual protagonists of this story. The agent of chaos in this show is Chika Fujiwara. 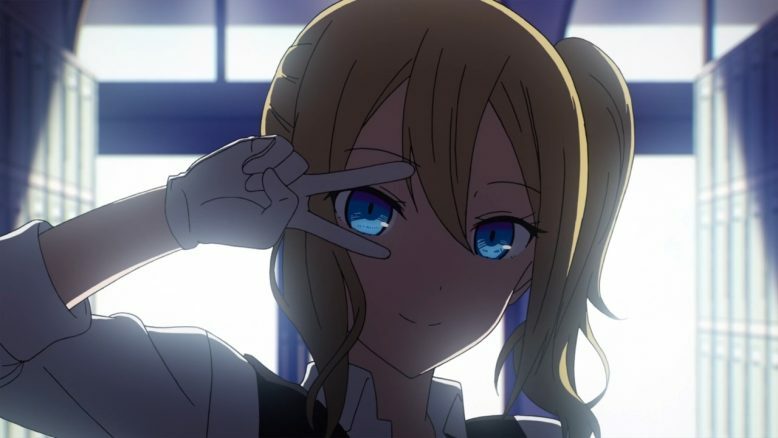 She can truly throw the plans and mental chess being played between her fellow student council members out the window. Truly this girl is amazing and has the ability to somehow turn that chess game into tennis. She is a very energetic character. 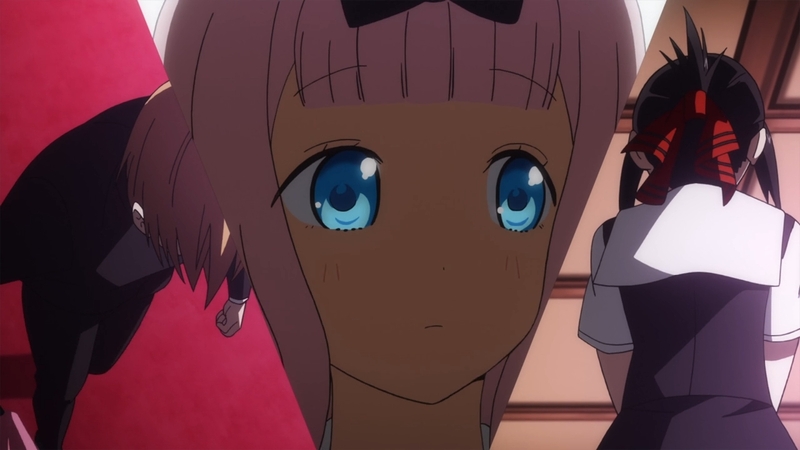 There is a great contrast in how Kaguya would plot to get something she wants while Chika will simply ask for it. And she often has success because she is just straight forward. It isn’t that Chika lacks the ability for deception though. She has a strong desire to win games and will often make herself unpredictable in order to aim for victory. She is one of the very few friends Kaguya has had since childhood. That girl can be chaotic, ridiculous, and even a bit selfish. But she is a lovable part of the main cast. A later addition to the main cast is the treasurer Yu Ishigami. He brings an entirely different personality to this mix of characters. Truly Ishigami can be very negative or pessimistic and it’s not unusual for him to stick his foot in his mouth. He can miss out on the idea that some things are better left unsaid or can be badly misinterpreted even when he means them as a compliment. 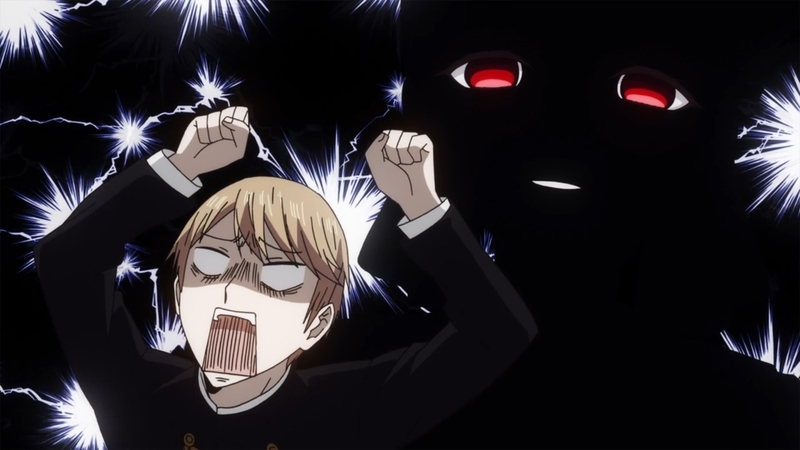 He has a very amusing dynamic with Kaguya that is worth seeing. But his matter of fact personality can also lead to clashes with Chika. The show hints at what kind of background Ishigami has that resulted in his current outlook on life. The challenge for him isn’t winning any particular match, it is simply getting through an episode without ending up depressed. The last character that must be mentioned isn’t exactly a character. This show utilizes the Narrator to incredible effect. Yutaka Aoyama does unbelievable work. There are times you don’t want a narrator and there are times you need that narrator! The narrator here makes the comedy work so incredibly well. The situations and thought processes of the main characters at times can be utterly insane. But the way he can break it down and get intensely serious about it just leave me laughing in many of the episodes. It’s more than having someone to break down the results of each ‘match’ but having someone to express what these characters are thinking outside of their own monologues. This is one case where just saying “the visuals are good” doesn’t quite do it justice. 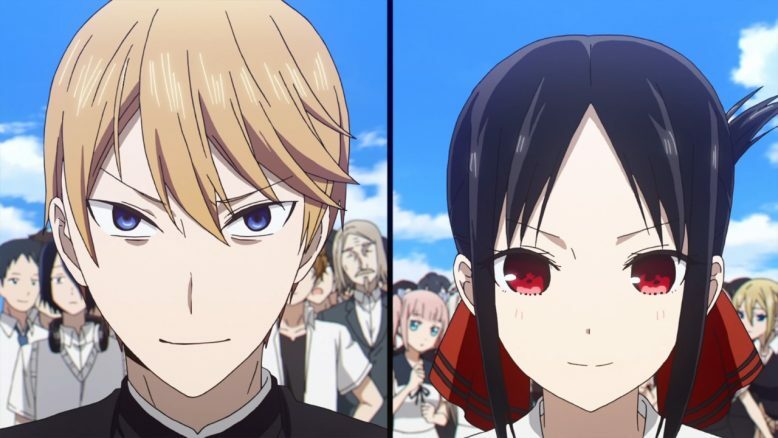 Kaguya-sama goes beyond just having nice overall animation. It is a romantic comedy that mostly takes place in a student council room or a few outdoor locations. You don’t need more than nice character designs and animation, which this show does have. But the creators went above and beyond with this series. There is a nice amount of movement around the characters, cutting to different visual styles, or showing off characters mental thoughts in visually creative ways. This show has a great sense of style. On top of characters facial expressions reflecting their thoughts, you really get to see in creative ways how the characters are feeling. It is something that needs to be seen to be believed. There is so much greatness in the audio side as well. I think the show has a great soundtrack that captures the fun moments, the tense moments, romantic, and silly moments of the show rather well. The voice acting is really good. While the narrator already got credit, I’d say Kaguya’s voice actress (Aoi Koga) deserves a ton of credit. 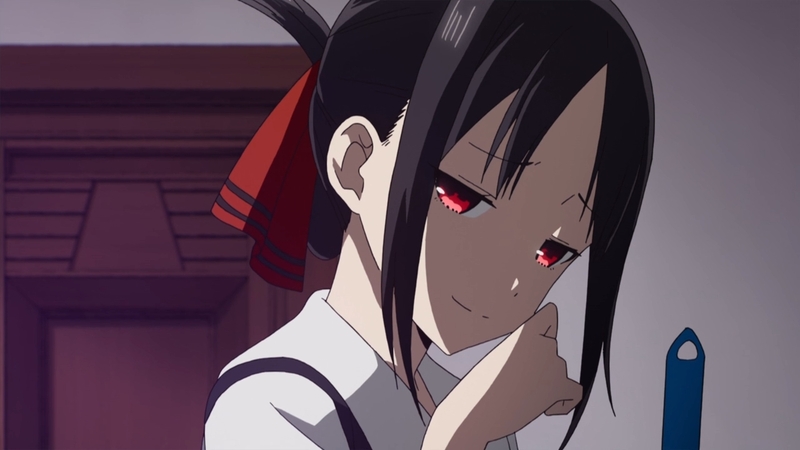 She truly makes Kaguya intense, fun, scary, and adorable depending on what the scene needs. And the show honestly has my favorite OP song of the season. I wasn’t sure about it at first, but by the end I did love listening to it every week. The main ED is also really comfortable to listen to each week. The special ED that they released once…well that just needs to be seen and heard. It was really great. This is easily my favorite show of Winter 2019. It was such a complete package that I can’t find many flaws to poke away at. Comedy of course is subjective and if you don’t gravitate towards the main cast it isn’t going to keep your interest. Being a partial adaptation of a much larger source material you can only expect so much resolution. Hopefully another season will be announced sooner than later, but until then you are watching just one great part of a larger whole. But I honestly think this show is worth checking out. You get to have a great laugh, get pulled in by some emotional drama, and watch an adaptation that was clearly done with care and respect to the material. 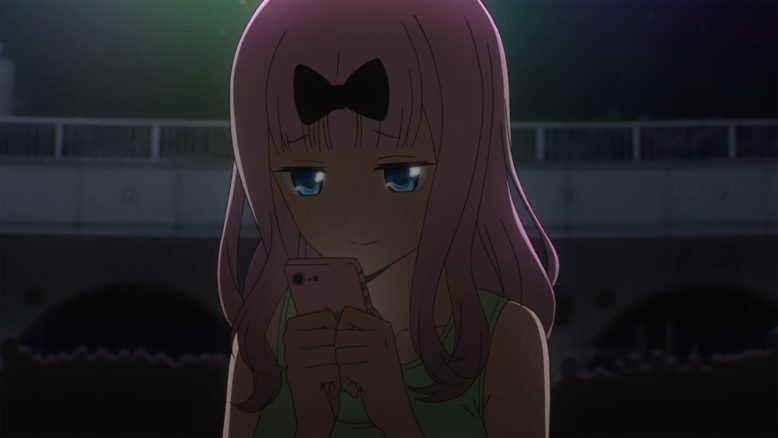 Kaguya-sama was just a ton of fun for me to watch and talk about weekly. I loved the whole cast and definitely want to see more of this story adapted over time. But the first season alone is more than worth at least giving a few episodes to in order to see if you get pulled in.